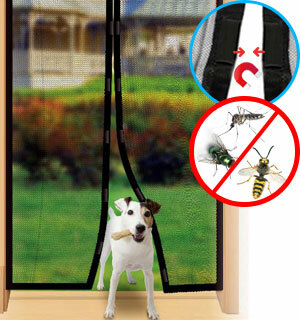 With the Instant Mesh Guard keep your doors open while keeping those annoying insects out. The Instant Screen Door opens easily and closes automatically using magnetic snap closure. This bug screen will also save you on costly air conditioning bills. 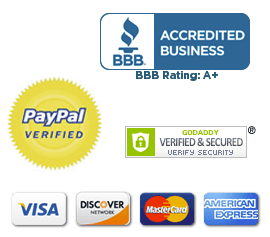 The Magic Screen Door installs easily in seconds with no tools required. Plus it folds up for easy storage when not in use. 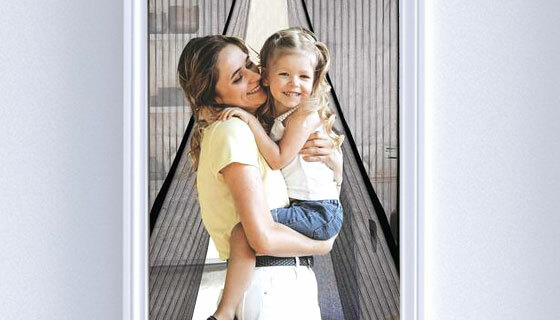 The bug screen fits single doors, sliding doors, RV's and more. Simply put, the Instant Mesh Guard is the best magnet screen in the market. - Size: 40" x 82.5"
Product itself works. The problem is attaching with adhesive tape. The tape does not hold. The mesh tends to fall off. The screen comes loose and its a real headache to keep it in place. Im afraid until a better way is found to secure the mesh screen I could not recommend this product. This is the first thing that I seen advertised that actually works as shown this is a great screen I installed it on my RV Trailer fit perfectly!! Got this for my aging dog who’s always bugging me to let her out. I used to keep the door open but the bugs got to be too much. So, I decided to get this & now she’s free to come in & out as she pleases. A little too wide for my doorway but I was able to modify it to work. 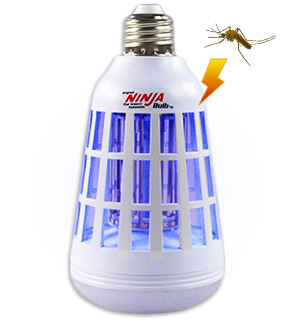 it has helped with keeping those stinking flies out of my home...great price too. Exactly what we needed. We use it for our shed because leaving the doors open the flies just invite themselves in. Now no more flies and its a pleasure to go in. OMG SUCH A GREAT PURCHASE! I have no A/C and MUST be able to have doors open. But I live in a rental and dont want to spend the $ for screen doors. THIS IS A FANTASTIC PRODUCT! Easy to install and works like a charm. Dogs can go in and out too, and it closes behind them on its own. No better product for the few bucks youll spend! Highly Recommended! Does not work. Large gaps in closure. Supposed to prevent insects from entering. Slows them up is all. Really looks good protecting my home!! Excellent product. Easy to install without the need for tools with the hardware provided and it is eye-catching when installed. Our dog easily learned to use the screen and, IT KEEPS THE NASTIES OUT OF OUR HOME. We recommend this product. I bought it for my sons door that doesnt have a screen door. It has magnetic or velcro straps but doesnt close well enough to keep mosquitos or bugs out. Mesh Magnetic Screen Door is great. Practical and effective in letting the breeze in and keeping the insects out of the house. I love it. 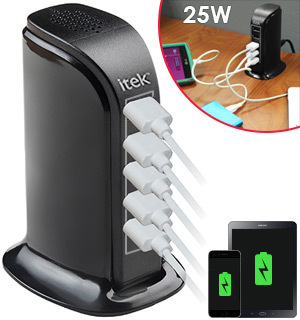 Works good, looks good and easy to install! This is a replacement for a worn out mesh guard. I purchased this as a temporary measure, since I am waiting for new doors. It is fairly effective, however the adhesive on the velcro strip does not stick to the frame very well. It does the job. I have purchased a few from here. They work great! is absolutely fabulous. I highly recommend it to anyone to keep the insects out. These screens are awesome once you get them up in the place you need them to be. The Higher traffic doorway no longer needs to have a replacement wood door hung every two years. Great product, great theme, great price. Gotta love this country!!! Patriotic and works real good.I have ordered many items from Pulse and found them all to be good products! While I agree that the magnets could be stronger if the curtains are hung properly they work fine. 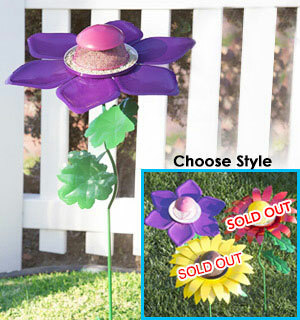 To hang them properly simply allow them to over lap about 1/4 They will still blow open with a good breeze but beyond that they are worth the price. I love the design looks real nice plus give my furgirls freedom to go in and out plus keeps bugs out. Even the dog likes it. I have only put up one so far but they sure work well. They let go for walking through easily but still come together behind you to close quickly after you pass. 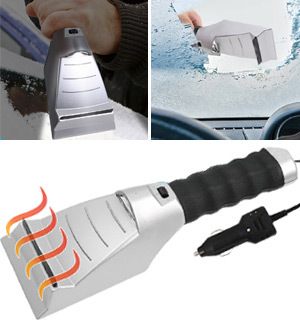 Great for home or RV.